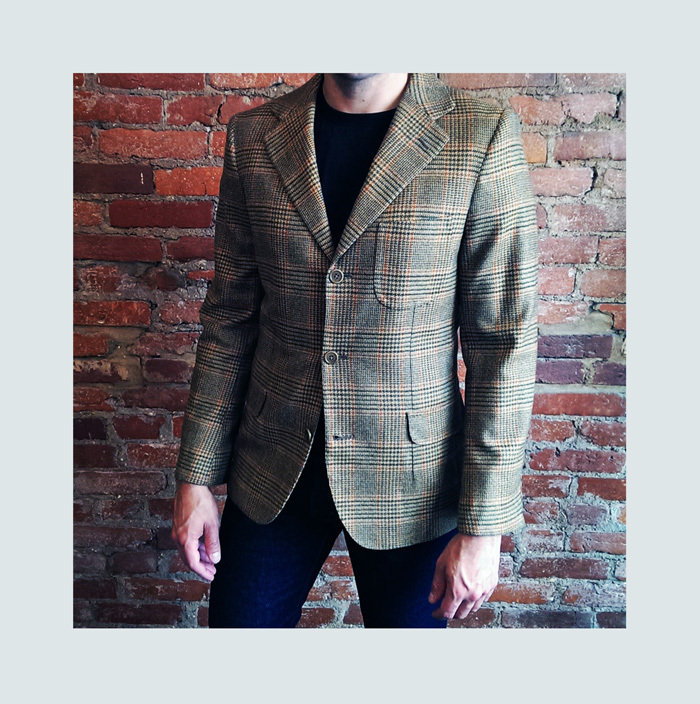 Nick has a gift for finding amazing Italian vintage blazers on Ebay. Once he gets them, he brings them to me to recut. 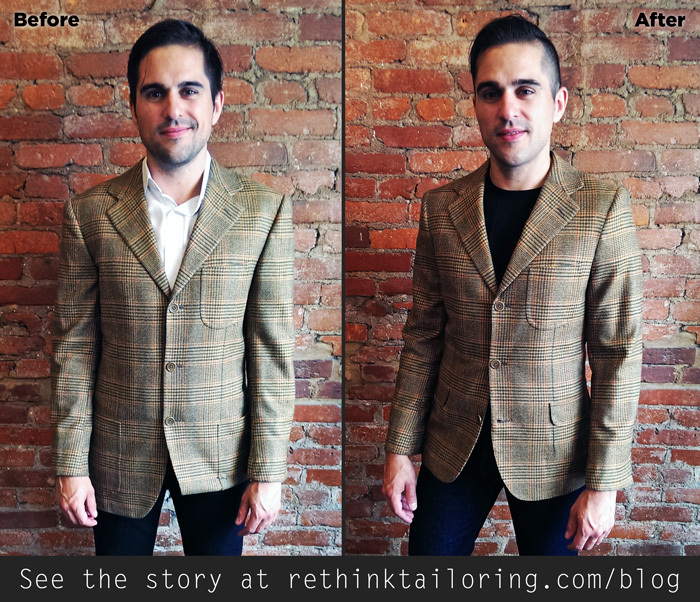 On this piece we recut the waist, shoulders, and chest, hemmed the bottom, and created a fake pocket flap so it fit his style.